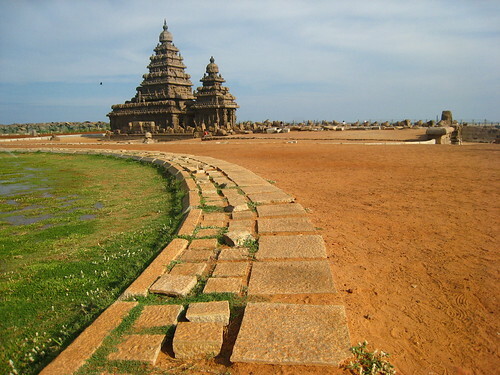 The area around the shore temple has changed a lot since I visited the place almost 15 years back. Now that it has been declared a World Heritage Site, the area around Narasimhavarman’s 7th century Shiva temple is beautifully maintained. I am fascinated by your blog. I am wondering if we could work together in some ways. I do not know much about women who ‘loved wisdom’ (philosopher) from India. Would you want to supply me with content? I would give your name and a link to your blog for every piece I would use. If you want to see the little bit I have on line about Indian women, you will see posts about Gargi, Ambapali of India, and there is another about Maitryi that is not yet in the index. If you are interested, please contact me at the above email address.